The National Transit Building, 206 Seneca Street, Oil City, PA was once the hub of John D. Rockefeller's Standard Oil Company. 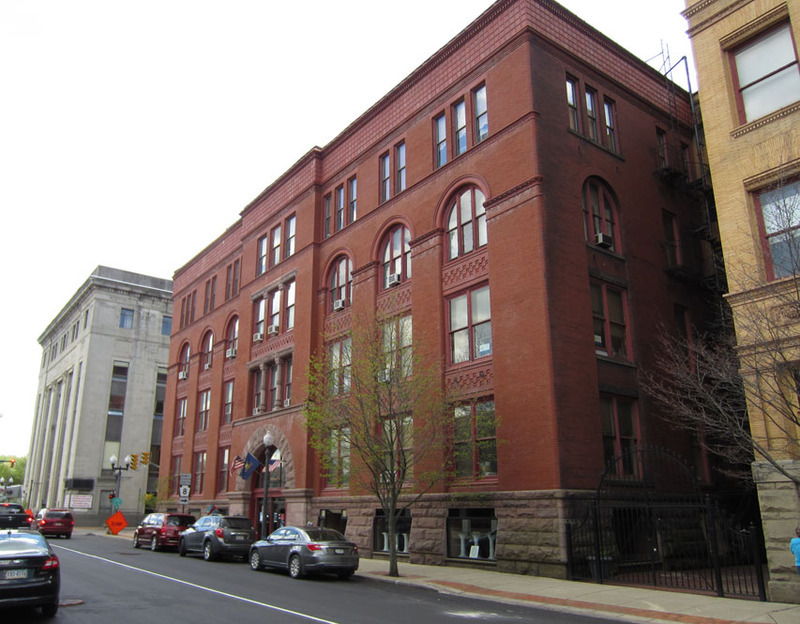 Built in 1890, the main block is a four-story stone and brick building joined to an 1896 annex by an enclosed bridgeway. The building was placed on the National Register of historic places in 1978. It currently serves as the Oil City Civic Center and houses numerous artists' studios. 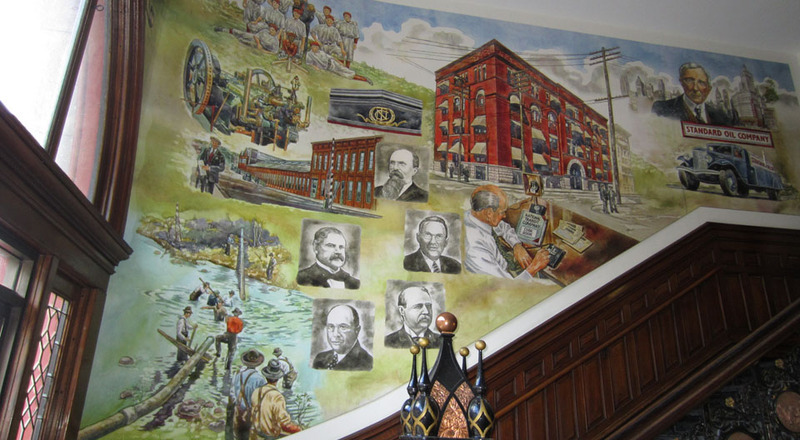 The lobby features a mural from 2005 that depicts the panorama of people, places, and events in the story of crude oil and natural gas exploration in this region. “National Transit Pipeline Company, Oil City,” NW PA Heritage, accessed April 26, 2019, http://nwpaheritage.org/items/show/40.